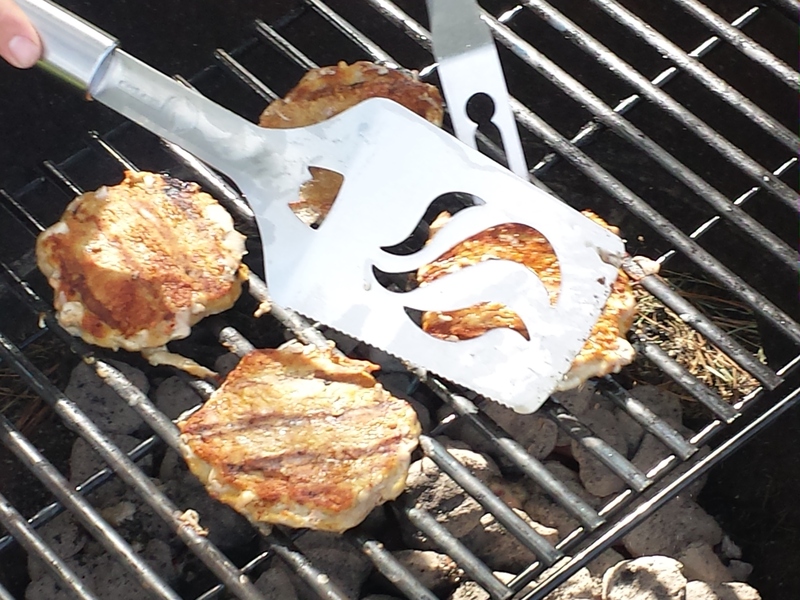 Just as we were getting ready to leave for our cross-country adventure, I was given the opportunity to try out a fantastic new set of BBQ tools from Cave Tools. As soon as they arrived, we packed them up to go, knowing they’d be getting some great use while we were away. 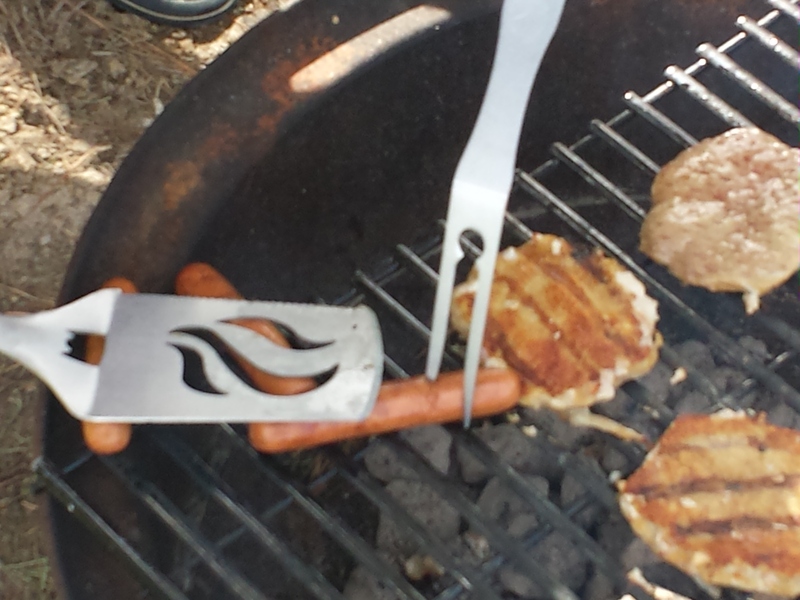 The three piece grilling set was by far the nicest set of BBQ tools we’ve had. 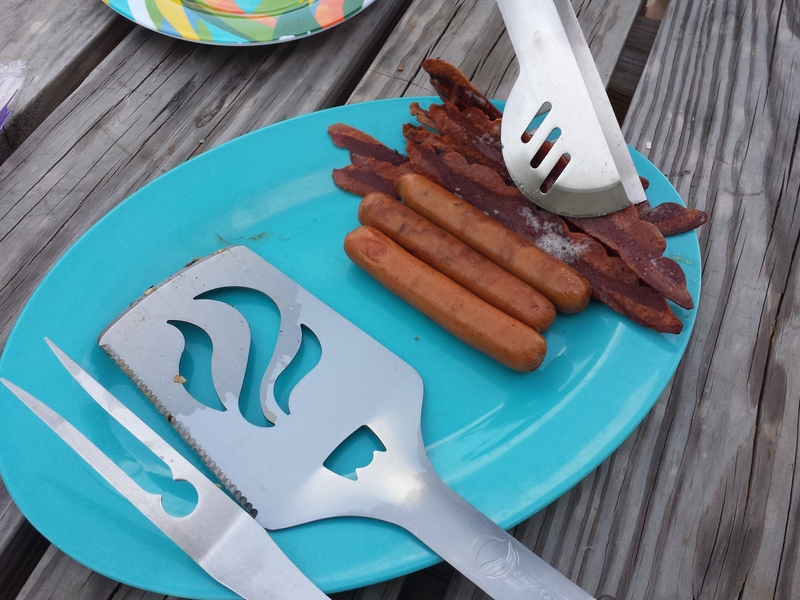 The set included a barbeque spatula, grilling tongs and a BBQ fork, and it was perfect for one of our campfire meals while we were in Louisiana. We’d decided to make hamburgers and hot dogs, but our hamburgers were not going to be just any burgers. They were going to be delicious BBQ Turkey Bacon-Cheddar burgers. 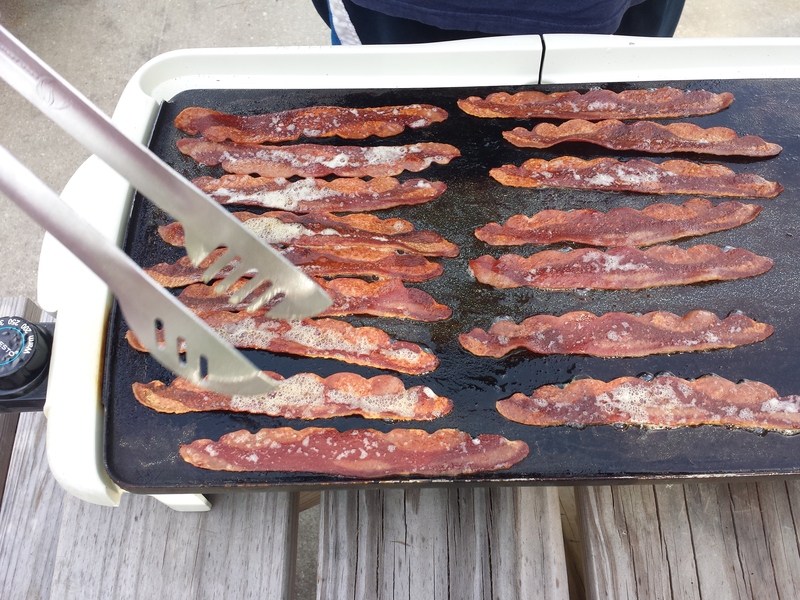 Our meal would allow us to use all three pieces of our new stainless steel set: the spatula for our burgers, the tongs for our bacon and the fork for our hot dogs. Don got to work cooking on the campfire, and he was impressed by just how strong and sturdy the tools were. They’re known for being 20% stronger than your average set of tools. The spatula was nice and wide, so none of our meat slid off of it while he was cooking, and the tools all had super long handles so he didn’t get burned while he was cooking either. “I liked how the tools were so sturdy, but I also liked how the spatula had a serrated edge on it. I especially liked that they were stainless steel,” Don told me later on. These tools are now going to be essential to all our barbecues from here on in, and I’d definitely recommend them to anyone who loves grilling as much as we do. You can order them easily on Amazon by clicking on this link. The tools are guaranteed 100% and the set even comes with a great recipe book, filled with 25 recipes which will inspire you even more! 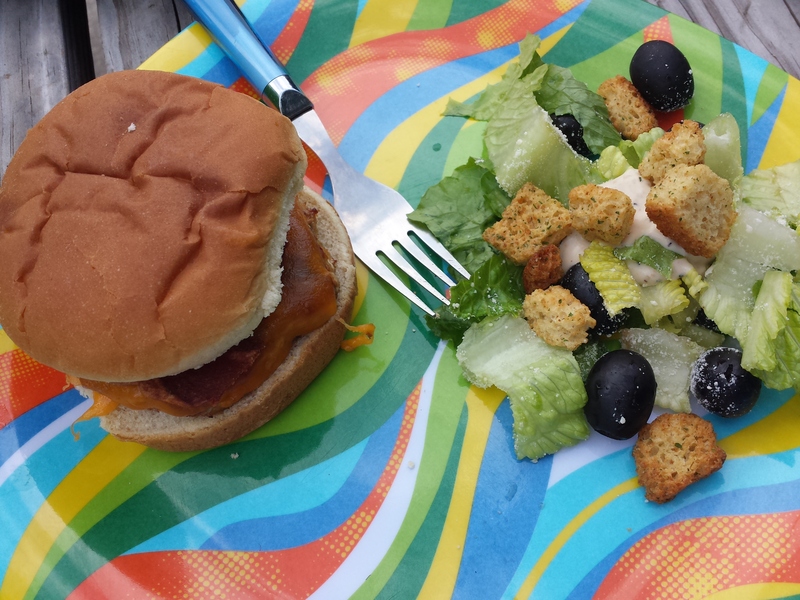 Our meal turned out to be a fabulous one, and I’m thankful we had the Cave Tools three piece stainless steel BBQ tool set along for the ride!